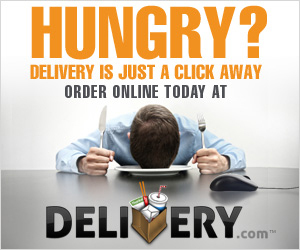 At Delivery.com you can easily order food online from your favorite local restaurants for delivery or pick up. There are over half a million hungry users every month that order from thousands of restaurants in over 50 cities nationwide. I tried it and the only hard part was choosing which restaurant I wanted food from :) All you do is place an order online at Delivery.com, the order is then sent to the restaurant and then you choose to have it delivered or you can pick it up. Super easy site to navigate!! You can check to see participating restaurants in your area here. This is a truly great service for those of us who want to eat out but don't want to go out! !